Happy Birthday Jim Bob, You did the best you could with your family with the information you had. Hope they celebrate you for being the loving dad you are. I don't feel he did the best. He knew what he was doing by not going to law enforcement. In that regard, he failed his daughters and his son. Happy Birthday Jim Bob Have a great day! Happy Birthday to Jim bob and also to Meredith Duggar who turned one! I think hers was on July 16th! Who forgot it? I'm sure the family celebrated. Happy Birthday Mr. Duggar, God bless you. Happy Birthday, Jim Bob! But you missed Meredith's 1st birthday on July 16th. Again why no post for young Mer's first birthday? I pray that God blesses you on this AMAZING day! Happy Birthday Jim Bob. Hope that it's great! It's my birthday too!!!!!! Enjoy. Happy Birthday Jim Bob, may God bless you with many more. 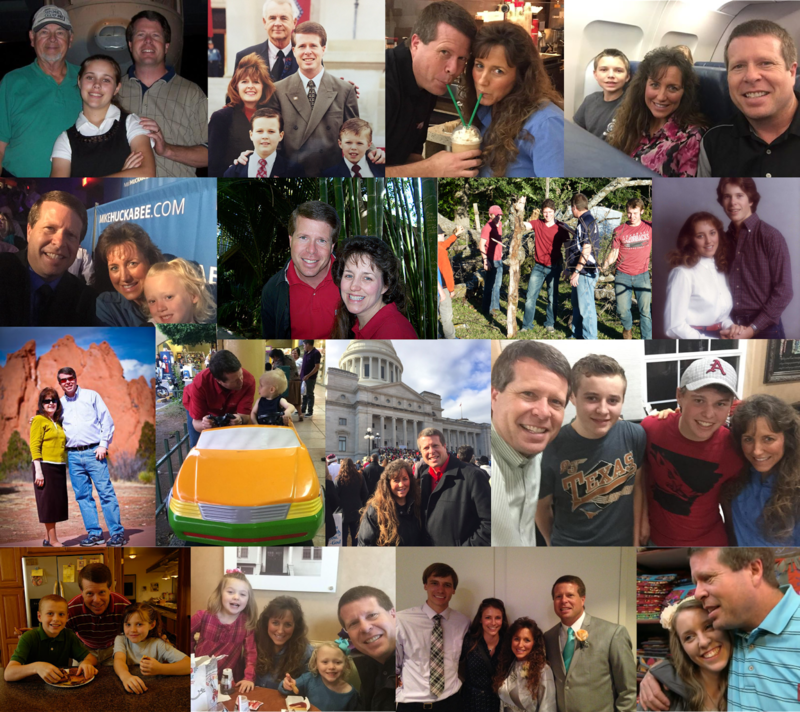 Happy birthday Mr. Duggar! And happy belated birthday to sweet little Meredith. I hope the family celebrated her first birthday, it's an important milestone! Happy birthday Jim Bob!! Today is my mom's birthday and my brothers was yesterday!! Happy Birthday Jim Bob! I hope you had a good day. As a woman who has lost two children as well, it has always bothered me when the parents are referred to as only having 19 children. They have 21. Two are angels, but they are still their children and should NEVER be forgotten. I really look up to you! You are a great example of a Christian dad! Happy birthday!! But am i the only one that realizes that they forgot Meredith's first birthday on Saturday?? You forgot about Meredith's first birthday. It was on Saturday, the 16th. Could you please do a late birthday blog post and wish her a happy belated birthday? Meredith was born on July 19th, wasn't she? No she was born July 16. Click on the birthday tab at the top and it will tell you when her birthday is. You forgot Meredith's birthday on July 16th. You could have at least done a late birthday post.